Selective Serotonin reuptake inhibitors (SSRIs) are a class of drugs used to treat many disorders. They are prescribed to treat depression disorders, anxiety disorders, obsessive-compulsive disorder, PTSD, and some eating disorders. Most often these disorders are also treated in tandem with other therapies such as cognitive behavioral therapy. There may come a time when therapy has been successful, and you want to stop taking SSRI drugs. Many people are on these drugs for an extended period and look forward to a time when they are no longer needed. However, it is very important that if you do discontinue an SSRI, that you do so safely and under the care of a doctor. SSRI withdrawal is extremely common, and it should not be taken lightly. It is very important that you understand the risks of discontinuing SSRI medications before doing so. You should be fully aware of the symptoms you may experience and look out for signs of relapse of the condition for which you were originally prescribed the drug. SSRI withdrawal syndrome is extremely common, regardless of which SSRI drug is taken or how long medication therapy has been utlizied. Studies have shown that many people who discontinue SSRI drugs have at least two or more symptoms of withdrawal. The duration and severity of symptoms is sometimes dependent on duration of treatment and the type of SSRI drug. The duration of SSRI withdrawal symptoms is dependent on several factors, such as how long the medication was taken and which specific medication was taken. However, as a general rule, symptoms of withdrawal become apparent within one week of stopping the medication. Studies have found that the symptoms usually last about three weeks then abruptly and spontaneously resolve themselves. Studies have also found that SSRI withdrawal symptoms typically resolve within 48 hours of restarting medication treatment. Also, switching to a different antidepressant may limit the adverse effects of discontinuing SSRI drugs. Dysregulation of serotonin is thought to be the cause behind the withdrawal symptoms. It takes one to three weeks for this to resolve before symptoms will dissipate. 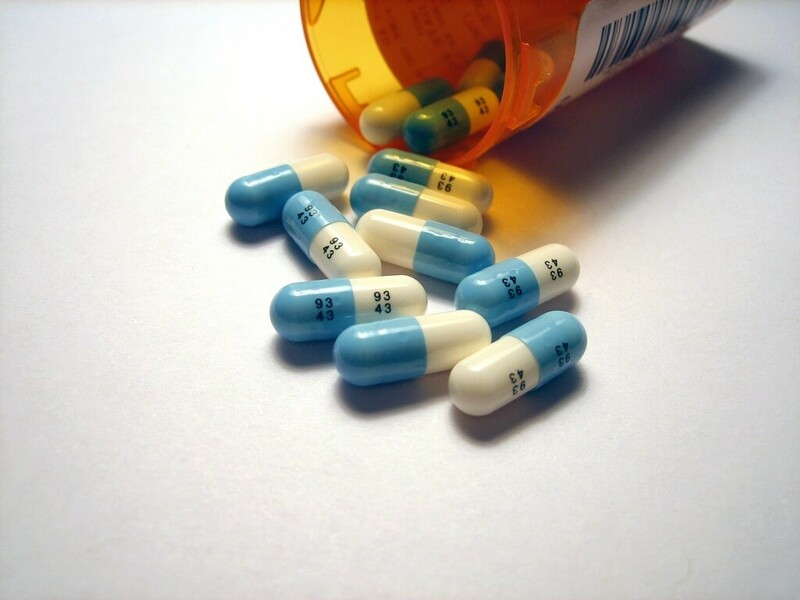 Studies have shown that the drug paroxetine has a higher risk of SSRI withdrawal syndrome. This is thought to be because it has a shorter half-life, meaning it does not stay in the system as long as other SSRIs. Studies have also shown that sertraline is prone to withdrawal symptoms (though less so than paroxetine), while the drug fluoxetine does not have as much risk, and the symptoms associated with it are less severe. This is because fluoxetine has a much longer half-life than sertraline or paroxetine. There are a great many symptoms associated with SSRI withdrawal. Those that experience withdrawal typically have at least two or more symptoms. Some patients may also notice the rapid return of the symptoms the medication was originally treating. As noted above, it is important to discontinue SSRIs gradually and under a doctor's care. Stopping them abruptly will increase your risk and occurrence of these symptoms. How to manage the physical and mental symptoms of SSRI withdrawal will be addressed in the last paragraphs of this article. There are many reasons that people decide to stop taking SSRI drugs. You may feel you're your symptoms have resolved, and so you no longer need the medication. You may become pregnant and need to stop taking them for the safety of the baby. Or, you may simply not have the means to refill your medication. 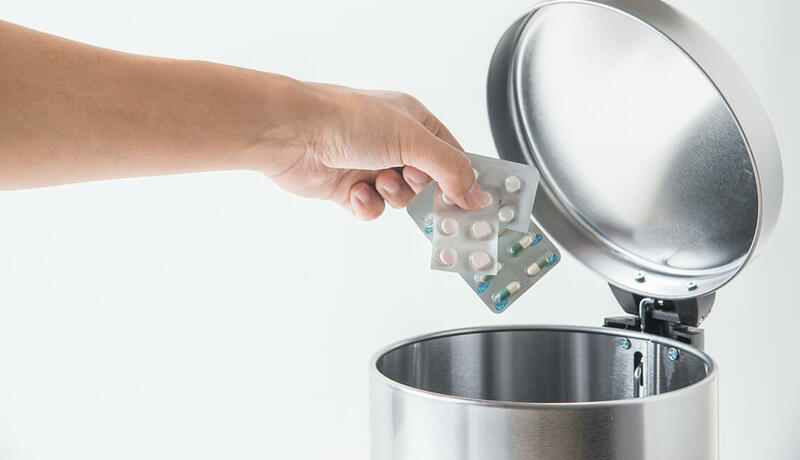 Whatever the reason for wanting to discontinue SSRI medication, it is important not to do so abruptly. You should also make sure that you are under a doctor's care and instruction for discontinuing the medication. You can also get additional support from your pharmacist. You may also want to get support from a therapist for managing certain aspects of the SSRI withdrawal. Whenever possible, SSRIs should be discontinued gradually. This is especially true when you are taking high doses of an SSRI. You should work with your doctor and pharmacist to obtain different strengths of the medication and decrease the dose gradually according to your doctor's instruction. Stopping SSRIs abruptly may be necessary for certain instances, such as discovering a pregnancy. However, in most cases, gradual discontinuation of the medication is the best path to take. Depending on the dose of SSRI drug you are on, weaning off of the drug may take several weeks. Each week the dose would be further decreased until you are no longer taking the drug. Symptoms may begin within the first week of decreased dosage, or they may not occur until you are completely off of the medication. It is important that you and your doctor carefully monitor your mood and SSRI withdrawal symptoms while you are going through discontinuation of the drugs. Any sign that your original symptoms are returning should be treated cautiously. If you are decreasing or ceasing use of an SSRI because you feel your symptoms have stopped and you want to try to be without the medication, it is even more important that you are very aware of changes in mood. Relapse within the first two weeks of decreasing or stopping an SSRIs is common. Often an SSRI will control symptoms of depression and anxiety so well that the illness appears to be in remission, but stopping the drugs brings them back quickly and severely. It can be very helpful to keep a journal to record your physical symptoms as well as your mood. This will help your doctor determine if you are on the right path while discontinuing the SSRI drugs. You should visit with your doctor multiple times throughout the process of discontinuation. There are some things that you can do to help you manage your flu-like symptoms from SSRI withdrawal syndrome. Nausea, diarrhea, and headache can all be treated with over the counter medications for those purposes. However, keep in mind that over the counter medications may not resolve the symptoms completely. Avoid taking too much of the OTC medications, and use them only as directed. It is also important that you treat yourself kindly during this process. Self-care is extremely important. Make sure that you are getting plenty of rest, and that you are staying hydrated. Eat what you can keep down when you can, even if this means eating only soup, broth or crackers. In general, treat yourself as you would if you actually had the flu. Managing the psychological withdrawal symptoms of SSRI drugs can be much more difficult than managing the physical symptoms. Your first step is to be fully aware of your mood, but you also must be able to manage your mood. It can be very helpful to visit a therapist before, during and after stopping an SSRI. A therapist can give you coping mechanisms for dealing with the withdrawal symptoms of anxiety, irritability, and insomnia. A therapist can also be another line of defense against relapsing into severe depression or anxiety. They will be able to distinguish between SSRI withdrawal symptoms and relapses. If you have been taking SSRI drugs and want to stop taking them, it is important that you do not do so on your own. If you are unhappy with your treatment plan for your depression or anxiety, and you do not want to take medication any longer, turn to additional help instead of dealing with it on your own. A therapist can help you determine if you have the coping skills and lifestyle necessary to be able to discontinue SSRI drugs. He or she can also help you wean off the drugs safely and in a controlled environment.